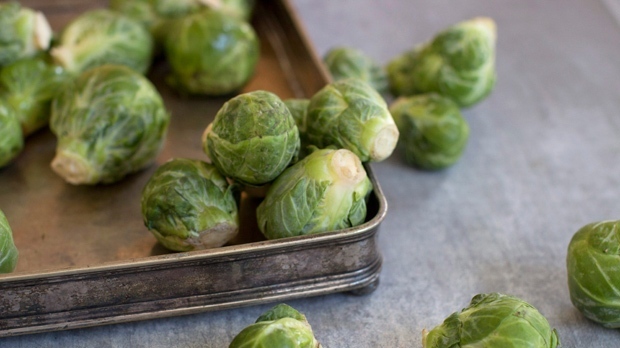 MONTREAL -- A Quebec man was sentenced to four months in the community after forcing his eight-year-old daughter to sit at the dinner table for 13 hours over an uneaten serving of brussels sprouts. In a case described by a judge as "aberrant and disturbing," the court heard that both sides dug in their heels over the vegetables in January 2016. The daughter was not permitted to go to the bathroom as the standoff continued or change her clothes after she'd soiled herself. The father described the girl as shivering and suffering from hypothermia. The court heard she eventually agreed to eat what was left on her plate after a sleepless night, only to vomit right after. 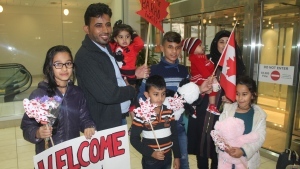 According to a judgment handed down last January by Quebec court Judge Jean-Francois Gosselin, only then did the 42-year-old father from western Quebec allow the girl to have a shower and go to sleep. The judgment also noted the father, who was not named to protect the girl's identity, kept the one remaining sprout on her plate for her to eat upon getting up. Facing four charges, he eventually pleaded guilty to one count of unlawful confinement and was sentenced to four months to be served in the community. He also had to pay a $500 charitable donation and perform community service. The judge described the father's actions as gratuitous cruelty and said some methods, such as depriving the girl of sleep, could be considered a sort of torture. "What holds true for a six-month-old baby is also true for an eight-year-old: We do not confine an eight-year-old child to the table for 13 hours," the judge wrote. "When tension mounts, we deprive them of play or send them to their room, but systemic provocation is not an option. "You do not deprive a child of sleep for an entire night or forbid them from going to the bathroom. And we do not let an eight-year-old child sit for hours in soiled clothing. When we do so, we violate their integrity and dignity." In addition to the girl's version of the events, the judge included text messages from the next morning in which the father told his ex, the girl's mother, about the standoff. "Until around 11 p.m. when (the girl's older sister, age 10) went to bed, it was emotional blackmail mixed with haggling ... " the father wrote. The man finally let her go to bed after she had eaten most of the vegetables and then vomited. "She knows she will eat it when she gets up," he wrote his ex, referring to the lone sprout left on the plate. The father, a junior college professor in special care counselling, had no previous criminal record and had sought a conditional discharge. But the judge ruled his background -- teaching people how to deal with difficulties adapting or fitting in socially -- served to increase the degree of responsibility he should assume. Gosselin ruled that granting such a discharge would be contrary to the public interest and noted he could find no equivalent in jurisprudence. The judge ruled the motivating factor for the father's actions was summed up in one word: "consequence." And because of the child's stubbornness in refusing to eat persisted, the consequences became not only abusive and unreasonable, but totally unacceptable. "Now it is (his) turn to suffer the consequences of his actions," the judge ruled.